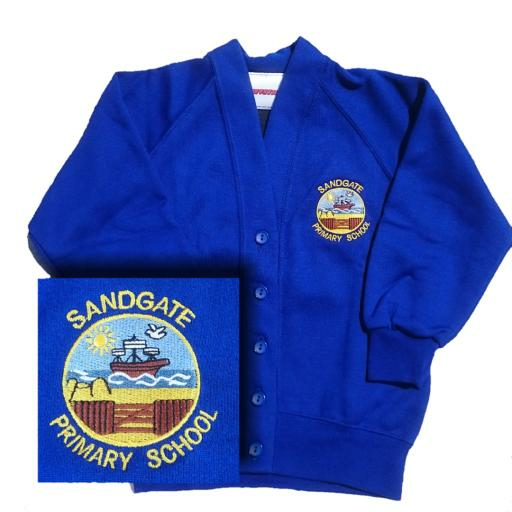 Size 3-4 Years (24") 5-6 Years (26") 6-7 Years (28") 7-8 Years (30") 9-10 years (32") 11-12 Years (34") XSmall (36") Small 38"
Royal blue V neck cardigan embroidered with the Sandgate School logo. This garment has side pockets. 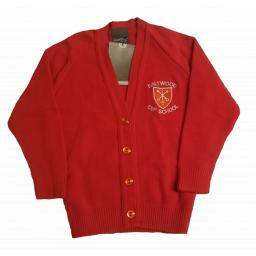 Adult sizes available on request but these are subject to VAT. Acrylic 45% / Cotton 30% / Poly 15% / Mixed 10% 270gsm No fading Lycra ribbing Cotton inner fleece for comfort Twin needle stitching for strength Concealed side pockets.